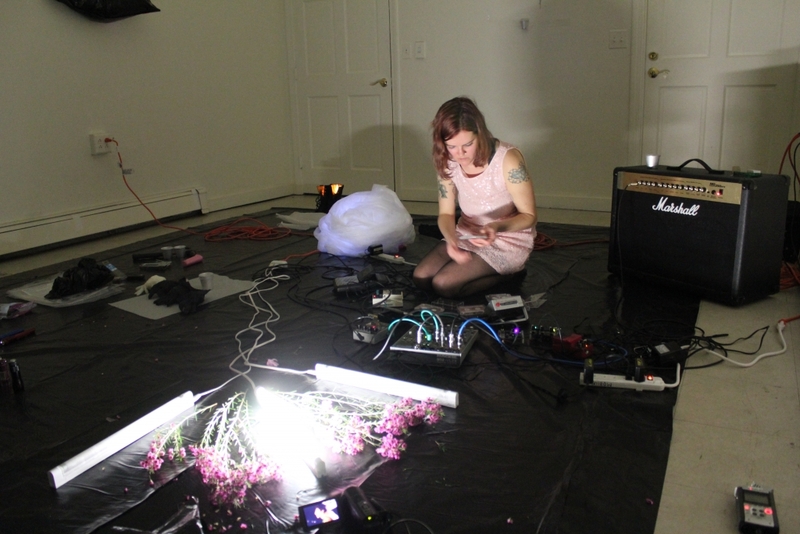 In this three-day intensive workshop, artists will use music to develop a performance art piece for a public presentation on the fourth day, and generate documentation of their performances to be included in the Noise Body Music exhibition on view at VisArts September 7 – October 16. We will explore how we are influenced by music, and what factors in our lives might draw us to certain kinds of music. On the first day, participants will each bring a favorite song that will be the point of departure for discussion about time and structure, and how feelings or images can be evoked. On the second day, participants will work with materials and objects, and we will do movement exercises. On the third day, we will explore our bodies’ relationships to specific spaces as we finalize the performances. Performance Art is a nebulous discipline, and the workshop will include some art historical background and readings. Performance Art can draw from visual art, conceptual art, experimental theater, contemporary dance, and it often involves creating live actions in which the body of the artist is the medium of the work. The workshop is open to artists of all backgrounds with an open mind and a willingness to be challenged, no performance experience necessary. Participants are required to bring a sketchbook or notebook, and wear comfortable clothes.